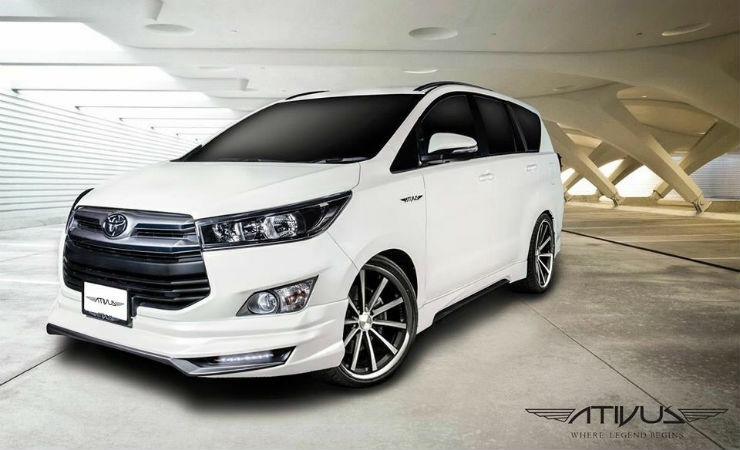 While the Innova Crysta isn’t particularly a sporty vehicle, it can be made to look sporty. Toyota for one have themselves come out with the sporty variant, called the Touring Sport. But there are many options available in the aftermarket world, for those who want to go that way. Since the vehicle is an international product (Indonesia/Thailand), there are a lot of kits on offer for the Crysta. Here is one which has been done ATIVUS. In India, Kit Up has also come up with a body kit for the Crysta to give it a sporty and unique touch. The alloys on offer with the Crysta were initially the 17″ ones (top end), however the company withdrew that and shifted to the 16″ ones, which are now on offer across the range. While those are quite boring to look at, you can opt for a large variety of aftermarket rims in varying sizes. We even saw a Crysta running 24″ rims in Indonesia. This one here is sitting on 19″ TSW alloys. If you are opting for larger rims, make sure to compensate with the right tyre size. 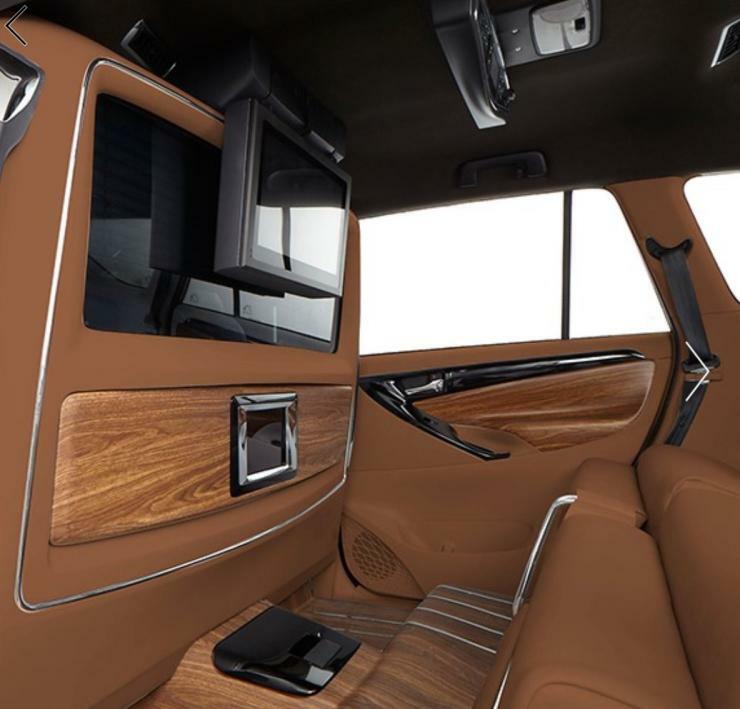 The Crysta is comfortable, but there are ways to make the interiors more plush. You can opt for different colours and different materials, if you want the interiors to be better. 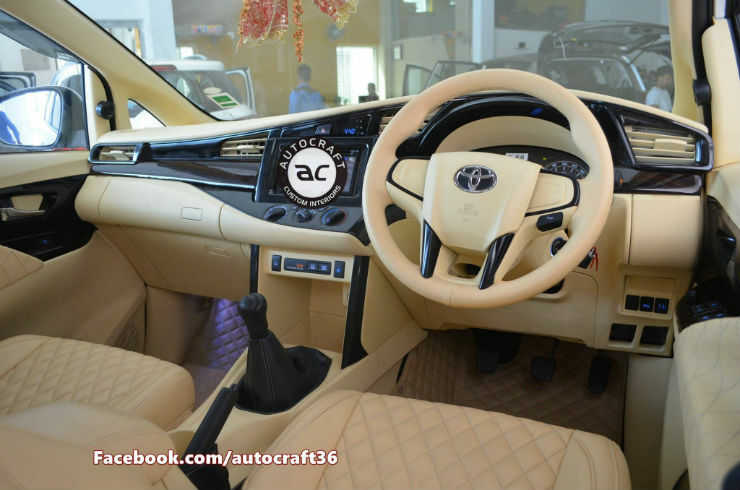 Here is one done by Autocraft Delhi, which now has been finished in beige leather with quilting. It looks really premium, and comfortable. The two seats are business class styled ones which recline and have a proper leg rest so that you can literally lie down and travel in peace. There are also foldable tables like those on airplanes. The cost for this is roughly Rs 5 lakhs. The Innova Crysta is the perfect car to do up the ICE in. Why? Because of the maybe sooner that if on offer on the car. 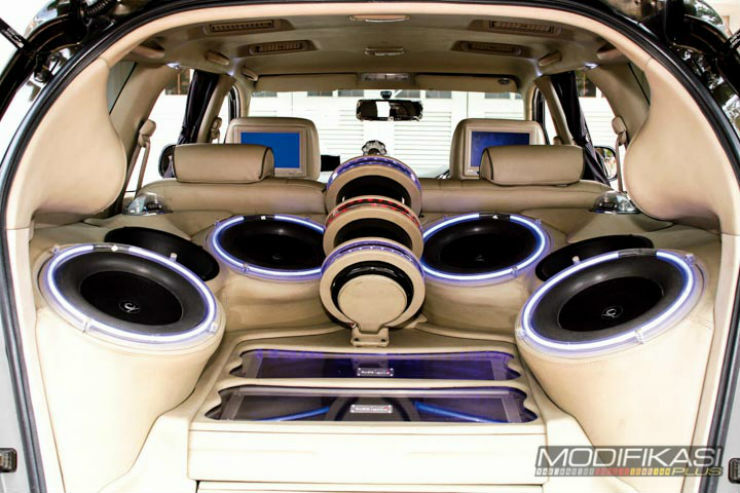 Those who are music crazy can opt to remove the last row of seating to place the woofers and amplifiers. You can also opt for smaller audio upgrades if you don’t want to go the whole way. 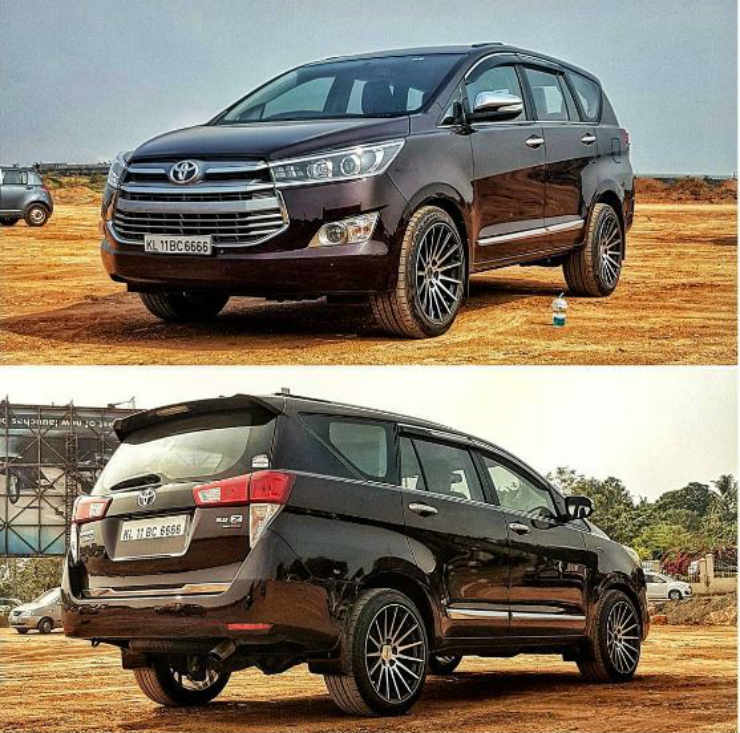 The Innova and Fortuner now share the same 2.8 liter engine. Globally, there is a Race Chip tuning box that you can get for the Fortuner, which can be used for the Innova as well. We are sure that Indian tuning companies will also come up with tunes for the new vehicle, but if you are in a hurry, there are plenty of turning boxes that are available abroad currently. These changes boost power and torque to over 204 Bhp-550Nm, up from 177 Bhp-450 Nm.